I have a friend who is really getting into floral design. She’s a gardener too, so the entire current farmer-florist wilder look appeals to her greatly. Her garden has taken on a whole new relevance to what she wants to do and she’s sparking like crazy when she talks about color combinations and what foliage works best and how to find a perfect anemone. Recently, my garden bud has decided she’s gifting floral designs this year for Christmas. Ms. Gardener has been dabbling all along, watching Erin from Floret, following Francis Palmer and her pottery, taking classes at the New York Botanical Garden. Cafe au Lait dahlias and their brethren showed up in her garden, she wants to plant more shrubs for greens, Trader Joe’s is seeing her show up to peruse the floral offerings. She’s ‘into’ it. A garden bouquet with interesting colors and texture. mini carnations, mums and berries with traditional greens, in a traditional Teleflora/FTD centerpiece style in red, white and green. Knock me over with a feather! I have nothing against these classic blast from the past centerpieces, you can still buy them in the shop in her town where I worked for a couple of years. In fact, there’s prolly a few greened up centerpieces just waiting for those flowers in the cooler right now. It’s assembly line work meant to go out the door at a moment’s notice when the order comes over the wire. So why does a funky cool budding garden flower designer suddenly turn trad roundy moundy copy-the-design girl? And what the heck does this have to do with wedding flowers? Here’s what I think Ms. Gardener is thinking: I’ll play it safe and make everyone happy. Something designed with super traditional colors in a super traditional style won’t make anyone uncomfortable. It’ll be fine with any decor, and everyone loves red/white/green around the holidays. It’ll be fine. On the flip side of that, it won’t make anyone take notice either. It will sit on the table and anyone who sees it will think the family in California sent a nice FTD design for the holidays. Point, click, purchase, done. When you decide to invest dollars into your wedding flowers, don’t settle for fine. You’ve taken the time to find the perfect venue, the perfect DJ, the photographer you think will capture your personality and style. Find a designer who will take your funky cool self and reflect that in blooms. Don’t get me wrong, I think there are plenty of brides out there who are Costco/Sam’s Club/internet purchased wedding flower gals, and good for them, they’ll have fine flowers. But if you’re here, reading this, you aren’t one of those. 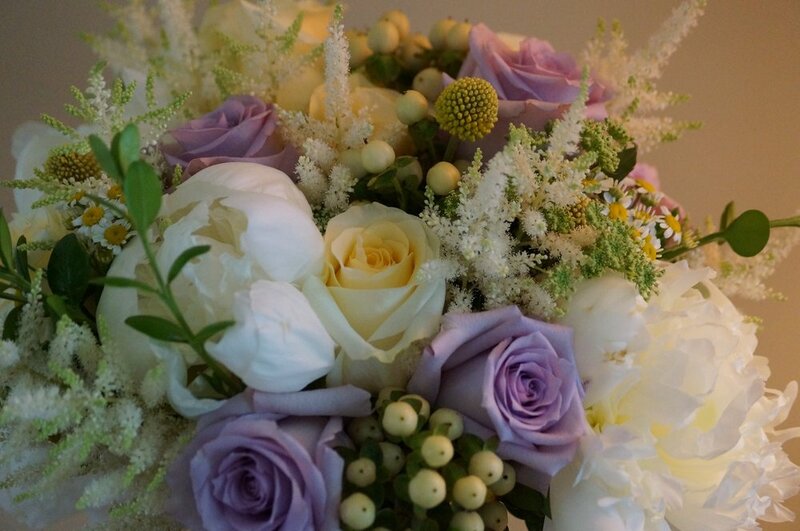 Let’s talk about how special we can make your event or wedding with some fantastic better-than-fine flowers.